Dinnertime can be one of your best opportunities to talk as a family. Yet for most families, dinnertime has become a forgotten time. Many families aren’t home for dinner at the same time, or they eat on the run as each family member scatters to various activities. My wife and I have to work hard to keep dinnertime a consistent family time. Our daughters each play three sports and are involved in student government, choir, and youth group. And, of course, they have homework. There are nights when we can’t all be home for dinner. Through the years we’ve gotten creative at protecting this time. If dinnertime seems to have become the forgotten time for your family, you might need to undertake a dinnertime makeover. Take a close look at your family’s calendar. 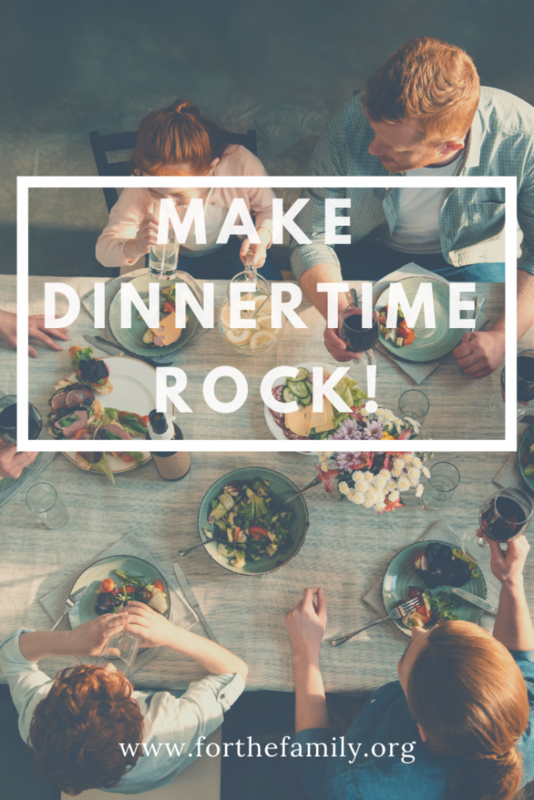 Develop a weekly dinnertime schedule that takes into account meetings, study groups, rehearsals, games, work, and so forth. Some nights, dinner has to happen at a restaurant or maybe on the fly between events. Establish a realistic plan to have dinner together as a family on a consistent basis. Recently, Amy, the girls, and I were eating at a restaurant. At the table next to ours, every person in a group of five was on his or her phone. No one was talking. Instead, they were all eating with one hand while holding their phones with the other. Eat at the table, not in the living room. Sitting at the table forces us to face one another. The seating arrangement encourages either conversation or extended awkward silence. Eventually, it will be more interesting to have a conversation. 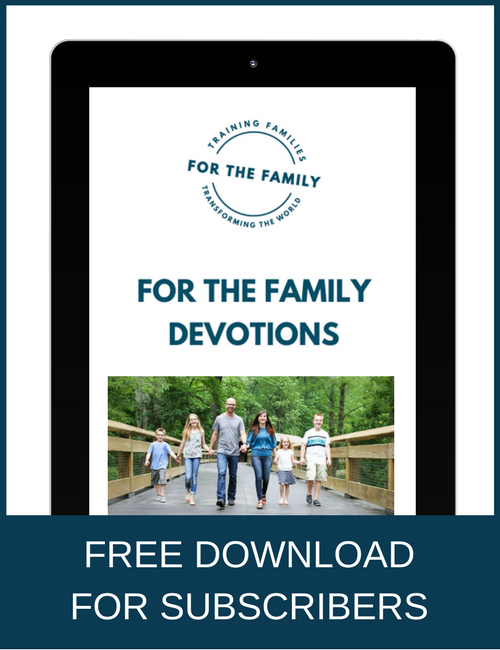 Proverbs 22:6 reads, “Start children off on the way they should go, and even when they are old they will not turn from it.” If you can, begin the practice of praying before a meal when your kids are young. Amy and I look for imaginative ways to get our girls talking. It goes without saying that some children talk more than others. And just because they communicate well with you today doesn’t mean they’ll want to talk tomorrow. We make it a point to discuss school, work, the world, friends, social media, politics, and religion. We also try to mix it up. Every spring the NCAA releases the brackets for the March Madness basketball tournament. Several years ago we began our own March Madness tradition. The night before the first games of the tournament begin, we print four copies of the brackets, go to a restaurant, and each complete a bracket, choosing the final team we think will win the tournament. Though we often don’t know all the teams that enter the tourney, and rarely do all of us pick the winning team, we enjoy discussing basketball and our picks for the tournament. If you don’t have a family dinnertime routine or tradition, why not make it happen this week! Talking as a family sends the message to your teen that “Mom and Dad are invested in what’s important to you.” Once you get your kids talking, you never know what you’ll hear. Jeffrey Dean is a radio host, family & student-culture expert, speaker, ordained pastor and author. 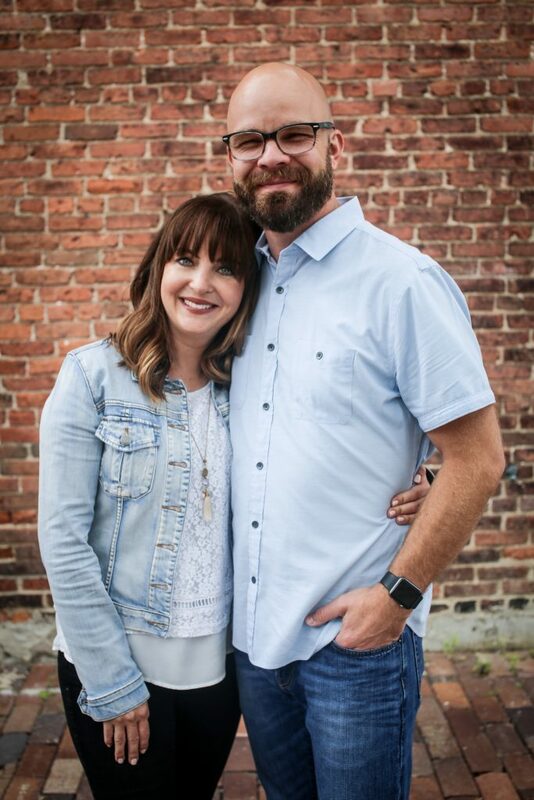 As an authority on Generation Z and family culture, he has spoken to more than 4 million people throughout our nation’s churches, universities, conferences prisons, and public & private schools. Jeffrey serves as host of The Jeffrey Dean Show, a two-hour call-in radio show each Saturday night equipping families to be family strong. Jeffrey also serves as a contributing writer for Stand Firm Magazine, Horizon, Fusion, and The Brink, and his monthly column appears in Direction and Horizon Magazines. Through his messages, books, blog, podcast, and more, Jeffrey equips parents with the tools they need in order to be their kid’s hero. He also keeps a pulse on this generation to help students win in life! Connect with Jeffrey at www.jeffreydean.com.